RICHMOND, Va. — Woody Austin knew Bernhard Langer was lurking throughout the final nine holes, and he did just enough to hold him off. Austin shot a 3-under 69 for a one-stroke victory Sunday in the PGA Tour Champions' playoff-opening Dominion Energy Charity Classic. 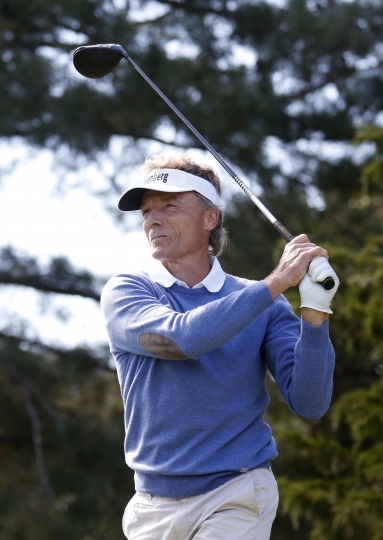 Langer, the defending tournament champion and series points leader, made the turn one shot off the lead, but eight straight pars kept him from ever gaining a share of the lead. Austin's birdie from 6 feet on the closing hole allowed him to hang on for the victory. 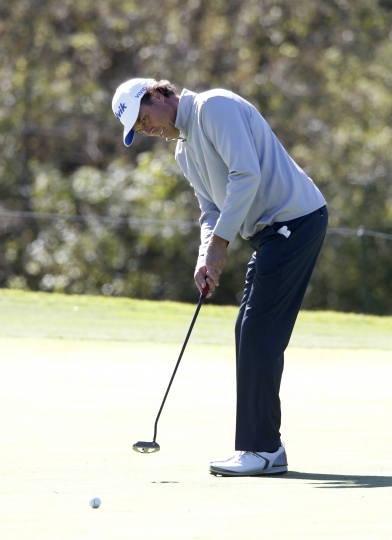 "It seemed like he couldn't quite get it over the hump," Austin said about Langer, who also birdied No. 18. "I'm not going to feel bad for the guy. The guy's kind of had things go his way for the last 12 years. Now he sees what it's like to have it happen." 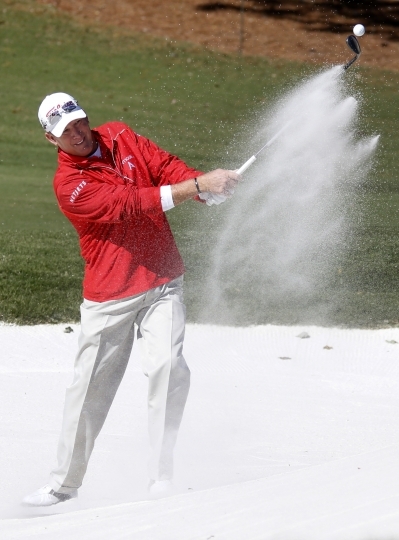 The 54-year-old Austin finished with an 11-under total for three rounds at The Country Club of Virginia's James River Course. He won his fourth senior title and first since 2016, and said windy and cool conditions that made scoring difficult played to his advantage. "I was happy to see it. I really enjoy a difficult test," he said. "... I enjoy even par meaning something. That's my game." Langer closed with a 70. 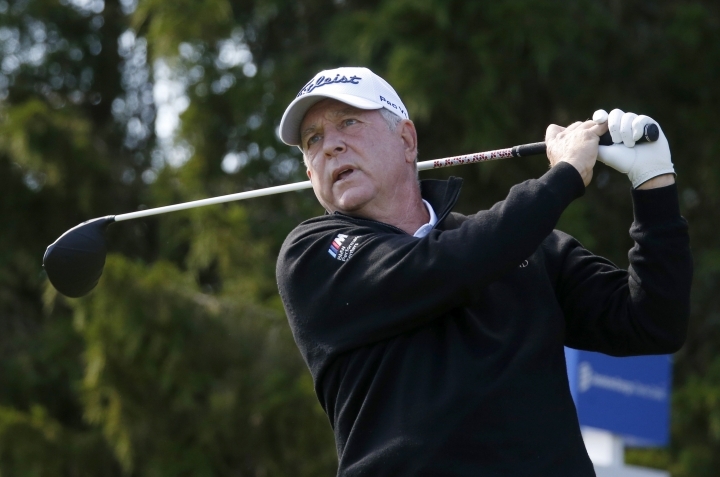 The winner last week in North Carolina, the 61-year-old German star made consecutive birdies to finish the front nine, but had several birdie putts slide by on the back. "I made a couple important ones and then I missed a couple important ones, especially the one on 16," Langer said. "I hit three really good shots and had about a 6-footer, something like that, and I just didn't hit it hard enough. It broke away." 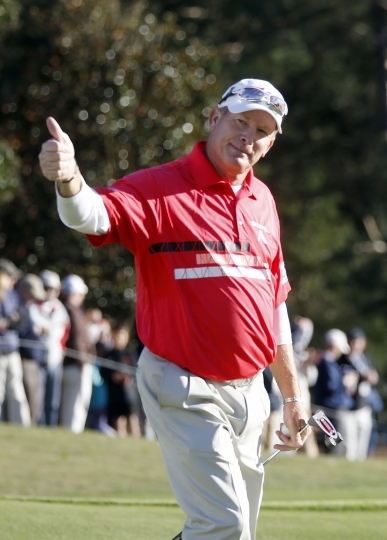 Austin dropped a stroke behind Jay Haas and Stephen Ames with a bogey on the par-3 14th. He got that back with a birdie from about 5 feet on the par-4 15th and then got some good fortune on the final hole when his firmly struck chip hit the flag and stopped about 6 feet away. "I always say usually the person that wins gets a break on Sunday," he said. "That was my break." The 64-year-old Haas, the second-round leader after a 65, had a 74 to tie for third with Fran Quinn (69) and Kent Jones (70) at 9 under. Haas was bidding to become the oldest winner in the history of the tour for players 50 and older. "Disappointed, for sure," Haas said. "Not going to get many more opportunities like this, but it gives me hope, too, that I can still do it." 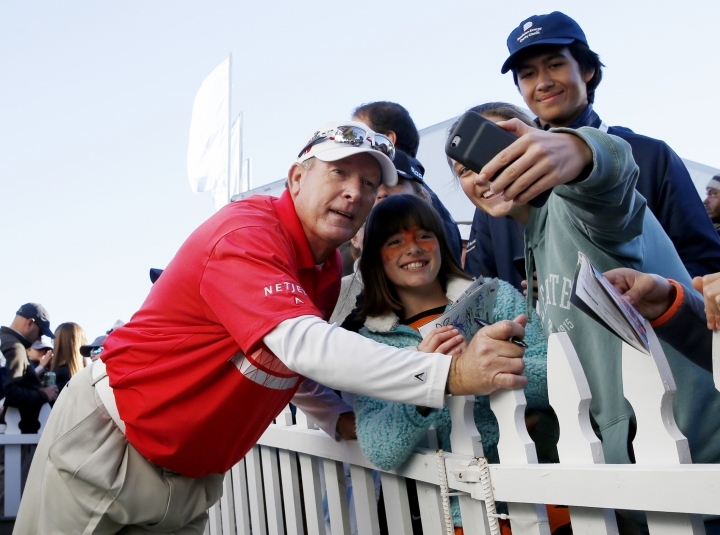 The top 72 players qualified for the Charles Schwab Cup Playoffs opener. The top 54 move on to the Invesco QQQ Championship next week in Thousand Oaks, California, and the top 36 after that will advance to the season-ending Charles Schwab Cup Championship in Phoenix.